Below you will find answers to several frequently asked questions concerning defective hernia mesh and hernia mesh lawsuits. You have questions about mesh and we have answers. This post is the first of a three part series answering important questions about hernia mesh. Many hernia mesh victims have one simple question they need answered before they seek justice as a result of the defective mesh implanted in their body. This question manifests itself on google as a simple inquiry: “Know before you file hernia mesh lawsuit.” It is impossible to underestimate the importance of a victim learning what he or she needs to know before filing a surgical mesh lawsuit. How do I find out what type of hernia mesh device was surgically implanted into my body? It is crucial that you find out what hernia mesh medical device surgeons implanted in your body during your hernia mesh surgery. If you want to pursue a lawsuit and obtain a settlement or judgment as a result of defective and unsafe hernia mesh, it is imperative that you conclusively determine what type of mesh was used. This will also allow you to determine whether there was a recall or market removal of the hernia mesh medical device that your surgeon implanted. You can also contact one of the best hernia mesh attorneys in the United States. That hernia mesh lawyer will obtain your medical records for you. The attorney will decide whether you have a valid mesh claim and whether he or she will represent you. Of course, you will need to sign a HIPAA release allowing your attorneys to obtain you medical records. Your hernia mesh product liability counselor will pursue a hernia mesh lawsuit in Federal Court on your behalf. Is there an average settlement for mesh claims? the skill and aggressiveness of your hernia mesh product liability lawyers. If you were selling your house, you would not look at average home values across the country, you would look at average sales prices for houses in your town with similar qualities. Similarly, a mesh victim needs to analyze mesh settlements for other victims with the same type of mesh, similar complications, surgeries and medical bills.This is the reason that the query about average mesh settlements is so absurd. The better question is what is the average mesh settlement for Ventralex mesh victims or what is the average surgical mesh settlement for Perfix plug by Bard / Davol victims. Canadian hernia mesh victims may be eligible to file individual hernia mesh lawsuits in the United States Federal Courts. Canadian victims should contact a hernia mesh lawyer in the United States. What are the symptoms, complications and pain and suffering resulting from defective hernia mesh? 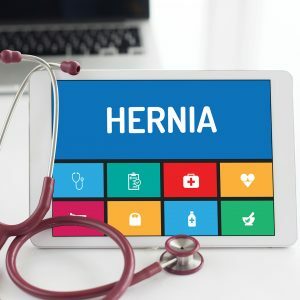 “Many complications related to hernia repair with surgical mesh that have been reported to the FDA have been associated with recalled mesh products that are no longer on the market. Pain, infection, recurrence, adhesion, obstruction, and perforation are the most common complications associated with recalled mesh. In the FDA’s analysis of medical adverse event reports to the FDA, recalled mesh products were the main cause of bowel perforation and obstruction complications.” Id. What types of cases are we reviewing on behalf of hernia mesh victims? How do I find the best hernia mesh attorney who will help me be compensated for this hernia mesh nightmare? How do I find the best hernia mesh law firm to represent me? It is crucial that your hernia mesh law firm has deep pockets to be able to go head to head against big Corporate America. You should select a firm who has many clients pursuing hernia mesh claims. It is also important that your law firm has a leadership role in at least some of the multi-district litigation pending in Federal Court. Preferably, your hernia mesh law firm would be lead counsel in at least one of the mesh multi-district litigation pending in Federal Court. Your hernia mesh firm should have many lawyers and a large support staff. 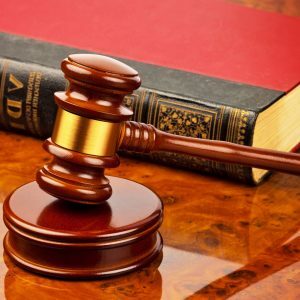 Your law firm must have extensive experience in Federal Court and know how to win a complex trial against big time corporate defense lawyers. These cases are very complicated and involve a massive amount of work. You need a firm with a large staff to handle the litigation properly. Hernia mesh litigation in US Federal Court is not a place for rookies or small town lawyers.